Madh island beach located towards then northwest coast of Mumbai is great a place to chill out with friends and family. People love picnicking in the beach. The beach is a clean and safe one to spend the day and to return in night. One can find boats to reach Madh island beach. The beach is dotted with many fishing villages and nearby bungalows is another sight that describes the love of upper classes for the place. Though the beach does not provide any picturesque sightseeing to the visitors, it provides great natural retreat to spend days for relaxation. The water is not safe for swimming and one must avoid playing in the water. But the beautiful sand on the beach is really spectacular to take sun bath. The pure atmosphere of the island provides the visitors a pure environment to chill out. Being away from the city, it provides a lot of pure air and greenery to make a good relaxation. Its closeness to nature makes it a favorite place for nature lovers. The island is lined with many sandy beaches that are perfect for spending holidays away from the hustle and bustle of city life. Amongst the beaches of Madh Island, Aksa beach is the famous one which provides great relaxation to the residents of Mumbai. Much of the rave parties are celebrated here on this beach. 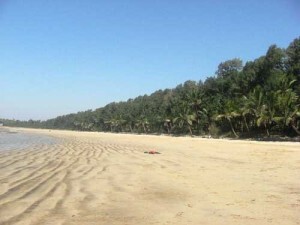 The beach at the Erangal village is also quite popular with the residents of Mumbai. The Erangal is a farming village and most of the visitors love to visit the beach lying adjacent to this village. Any of the beaches is not safe for swimming but these are generally used for taking long walks along the beach. The films and shop operas are picturized on these beaches due to the prevailing solitude. Madh Island is great for sightseeing as well. One can find Madh fort located in the nearby location of the beach. The Madh fort is also known as the Versova fort. The fort is believed to be used as a watch tower by the Portuguese camps. There also one will find the famous church of St.Bonaventure which is quite popular in the location of Erangle and it is believed to be a 16th century Portuguese church. The celebration at the St.Bonaventure’s church attracts many visitors from every religion to the spot. One can visit the Madh island beach at any time in the year. But avoiding the rainy season can be helpful in enjoying the environment as other seasons the climate lacks humidity and that give a dry chilled experience on the beach. Accommodation is available in plenty near the beaches. One can find many bungalows and cottages near Erangal village. Staying there can give one the most relaxing experience and real retreat to nature. But most of the Mumbai dwellers visit the island for one day picnicking or weekend relaxation. Though the beach does not offer any of the water activities due to the presence of strong current, but the isolated beach is a great place to make a long stroll on the seashore. You can hire taxi to reach the beach by road. It is also well connected by state bus service from Mumbai. The nearest railway station to Madh Island is at Malad district. You can reach here via local trains from Mumbai.